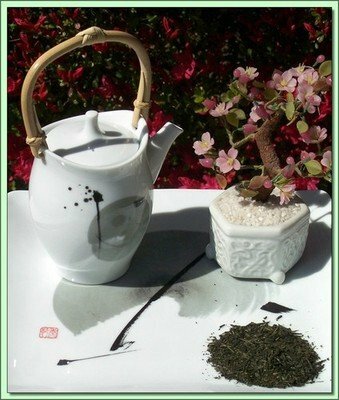 We offer a wide variety of fine imported green tea with a focus on high antioxidant content for maximum health benefits. 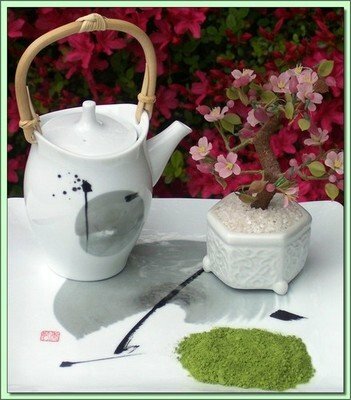 Our Japanese green teas are typically steamed and more green or grassy tasting. Our other Asian teas are typically pan fired and are smokier tasting. 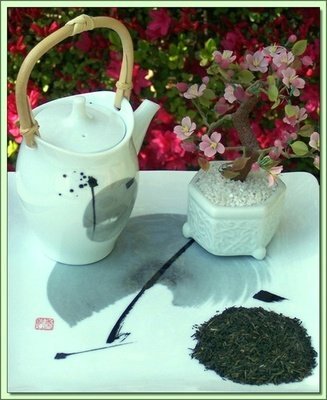 Our steamed African green teas are rich and typically taste more like Oolong (semi-fermented) teas for those who like a more black tea taste. 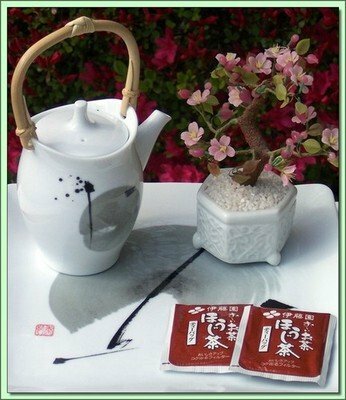 Catechin (Japan) - 1 oz. 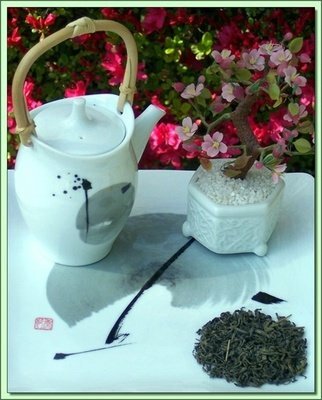 Bancha Keiko (Japan) - 4 oz. Organic Osprey Gunpowder (China) - 4 oz. 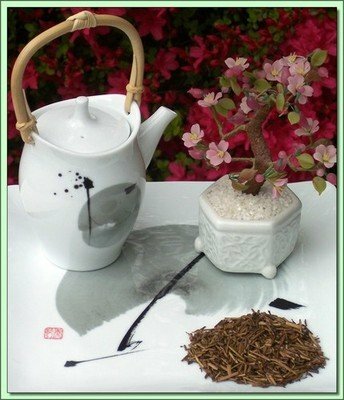 Organic Peacock (China) - 4 oz. 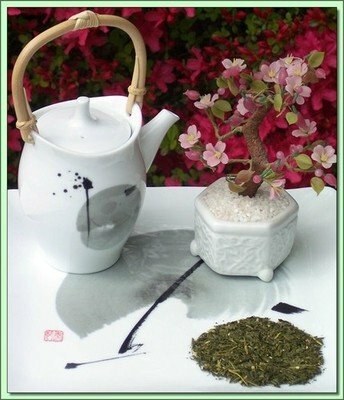 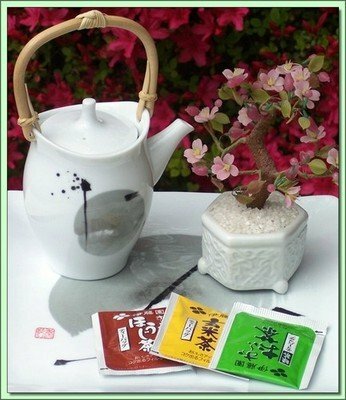 Organic Sencha Fuji (Japan Style) - 4 oz. 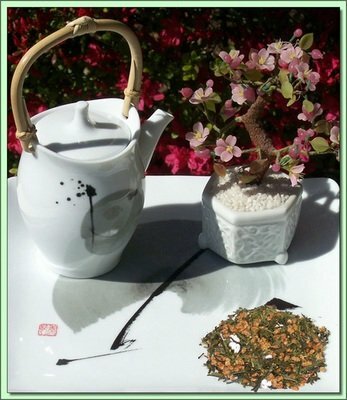 Organic Genmaicha (Japan) - 3 oz. 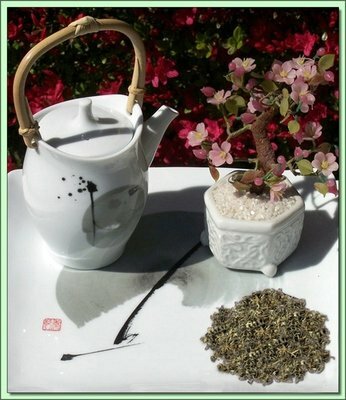 Organic Gyokuro (China) - 2 oz. 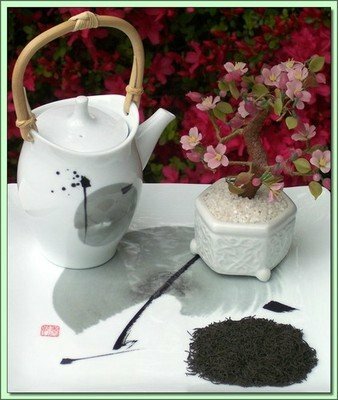 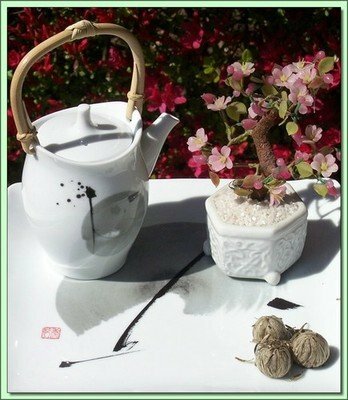 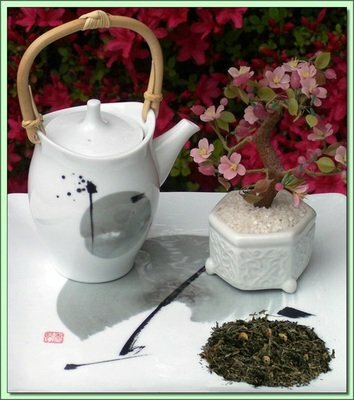 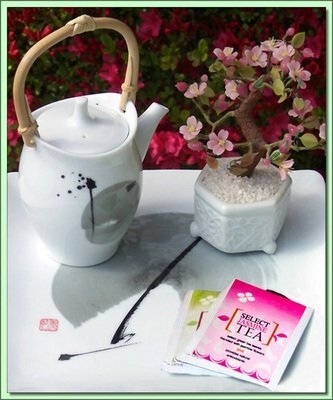 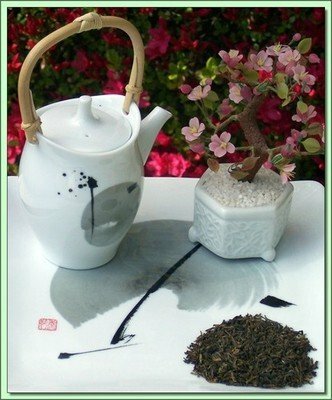 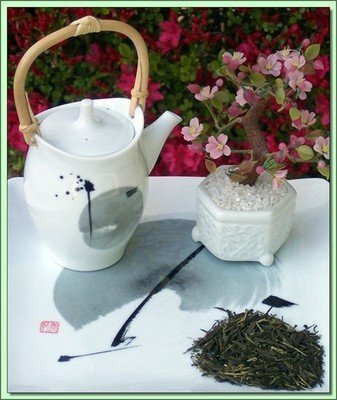 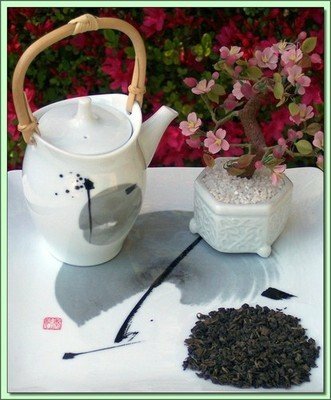 Organic Pu Mai Tan White (China) - 2 oz. 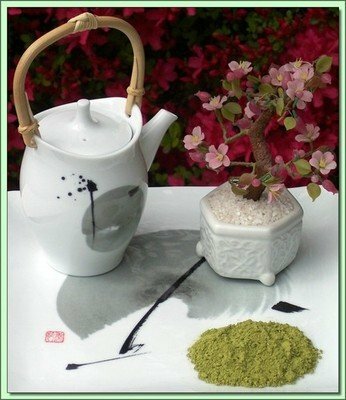 Matcha Flamingo Green (Kenya) - 1.5 oz. Matcha Green Banda (Malawi) - 1.5 oz. 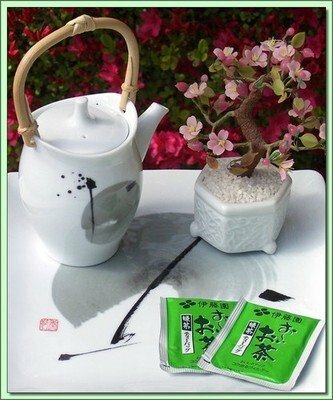 Genmaicha (Japan) - 4 oz. 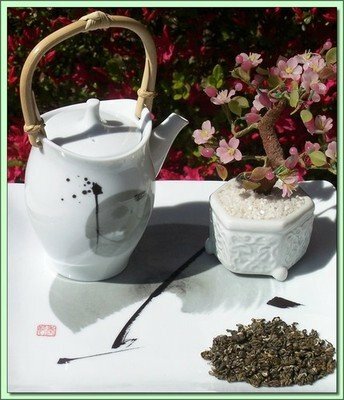 Snowy Mountain Jian (China) - 4 oz. 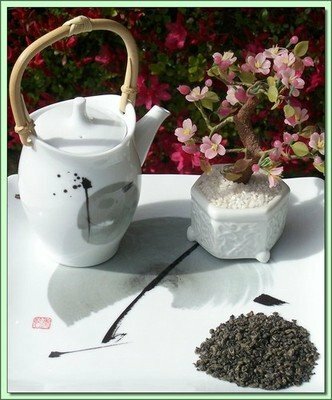 Golden Mountain Needle (China) - 1 oz. 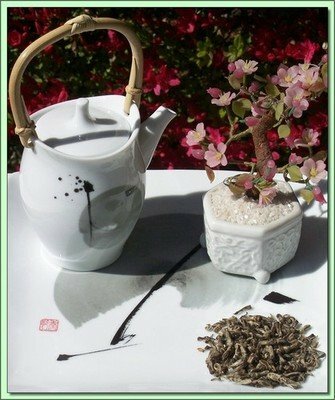 Moon Swirl White Tip (China) - 3 oz. 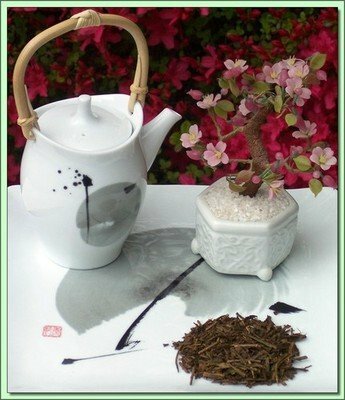 Nepal Junchi (Nepal) - 3 oz. Royal Ceylon Gunpowder (Ceylon) - 4 oz. Sencha Zebra (Kenya) - 3 oz.